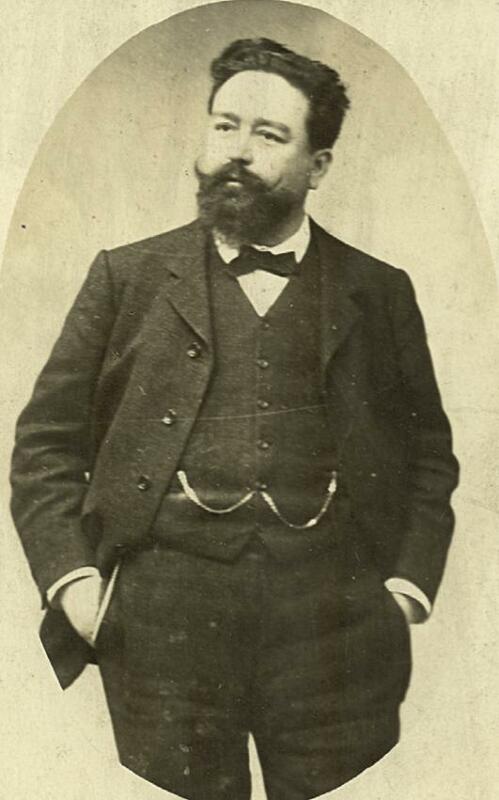 Albéniz was a child prodigy and as early as 1864 he had already played one or two concerts in Barcelona. He studied at the Music Conservatory in Madrid, where he went to live. After a short time, in the 1870s, he started a series of travels throughout Spain that made him well known as a concert pianist. Together with his father he went to South America - Puerto Rico and Cuba - where his performances were a great success. Thanks to a royal grant and the money he earned from giving private lessons, he was able to study at the Conservatoire Royal in Brussels (1879). He did not return to Catalonia until 1883, when he settled in Tiana and began a good relationship with F. Pedrell, who was also a musician. That same year he began working in the Cafè Colón in Barcelona. In 1893 he went to live in Paris, where he met the artists R. Casas and S. Rusiñol, with whom he had a good relationship, which is why he was a regular at the Quatre Gats café in Barcelona (Montsió, 3 bis), where he often gave impromptu concerts. He travelled all over Europe as a concert pianist and achieved great success there. However he never gave up composing, for which he had an increasingly good reputation in Barcelona. Throughout his career as a composer he tackled every kind of genre: zarzuela (light opera), opera, instrumental music, etc. Of all his production, the pieces dedicated to the Iberian Peninsula, which was his source of inspiration, are outstanding, particularly the virtuosos piano pieces known as Iberia (1906). He also wrote operas, such as Pepita Jiménez (1896), and symphonic works, such as Capricho cubano and Catalonia (1899). In his memoirs he said that he had met F. Listz in Budapest, but the information available on the matter proves that this was impossible.